Ten more regattas will follow in the series, which continues through December. 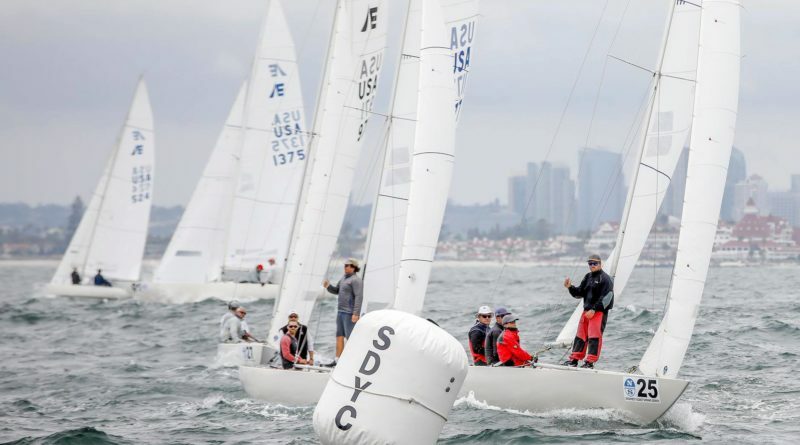 SAN DIEGO — Southern California’s mild winters means January is as good a time as any for a yacht club to kick-off a year-round regatta series. San Diego Yacht Club will indeed be hosting the 2019 One Design Weekend series beginning Jan. 19. The first segment of the One Design Weekend will take place at Coronado Roads on Jan 19-20. All regattas in the series are open to one-design fleet members. There were six one design vessels registered, as of Jan. 7: Four Winds (Etchells, Dillon Yacht Club); Finnster (Finn, San Diego YC); Kobayashi Maru (Finn, Yacht Club of Evil); Low Budget (Finn, Mission Bay Yacht Club); Finn Shui (Finn, San Diego YC); and, J-OK (J/105, San Diego YC). “Courses will be windward/leeward unless otherwise noted. Exact course descriptions will be detailed in the [Sailing Instructions],” the Notice of Race stated. Registration is available online at www.sdyc.org/race. Online registration closes at 4 p.m. on the Friday prior to race day; registration closes at 4 p.m. on Jan. 18 for this first regatta, for example. There are no entry fees for any of the regattas within this series. At least five or more boats must be registered in fleets wishing to receive a start. Up to nine races will be held each regatta weekend. Future One Design Weekend Series dates are Feb 23-24, April 27-28, May 18-19, June 16, July 13, Aug. 17-18, Sept. 28-29, Oct. 12-13, Nov. 16-17 and Nov. 14. Each regatta is independently and separately scored. Contact the San Diego YC sailing office at 619-758-6310 for more information. Registrants can also contact San Diego YC Waterfront Director Jeff Johnson at 619-758-6310 or Regatta Administrator Jarred Wohlgemuth at 619-758-6309.